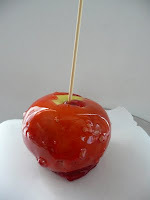 When I see them in the grocery store, I know Summer is Over and Fall is here... Do they have Caramel apples in Europe?? 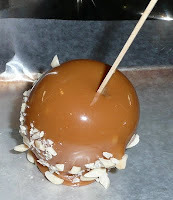 I have always loved Kraft caramels and caramel apples. YUM! Candy and caramel both have specific taste memories for me. Each combines differently with apple--caramel melds with the fruit, candy crunches alongside it--but both require the crisp, cool air of a Canadian autumn for perfection...I can't decide between them!